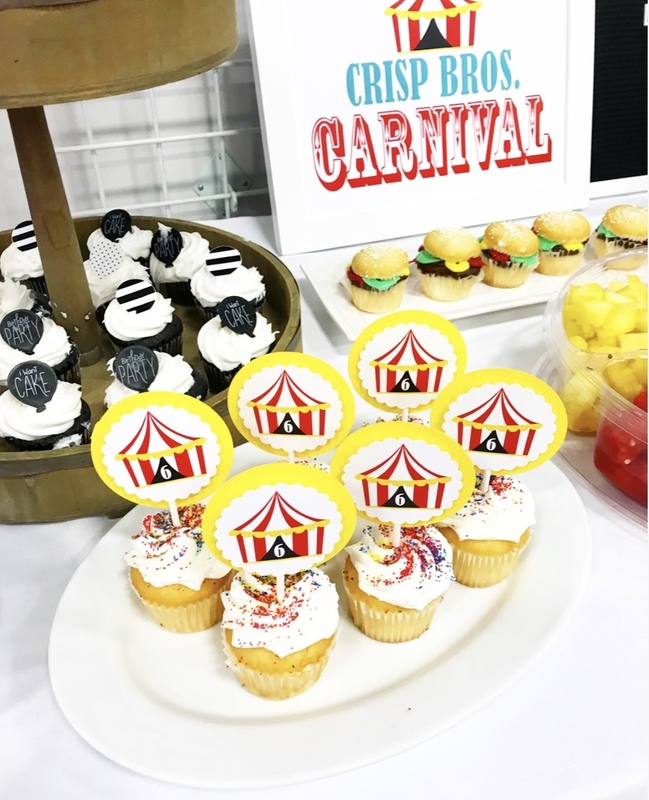 Last weekend we had so much fun celebrating our SIX year old with a carnival themed birthday party! 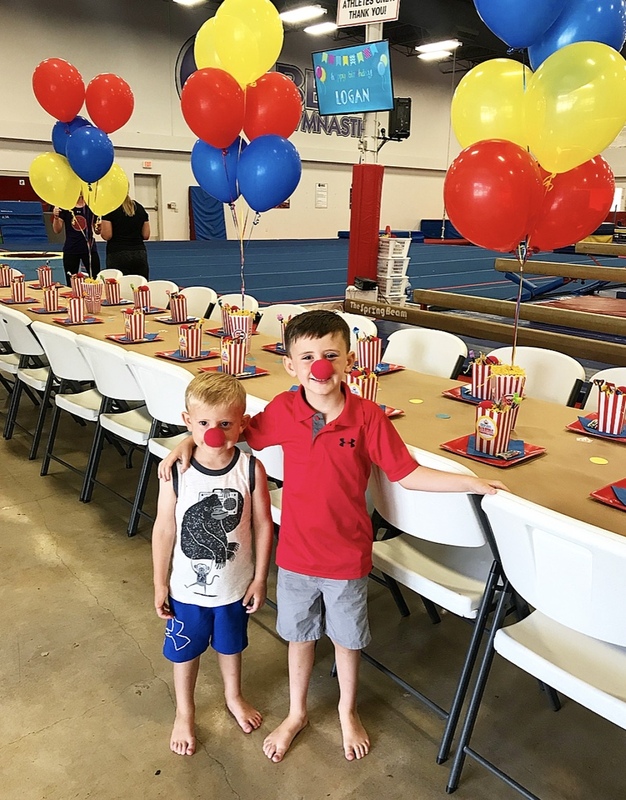 I gave Logan several options as to how we could celebrate this year, but he was very adamant about having a party ….cheesy kid parties are my jam, so I LOVED that he really wanted to be involved in planning! 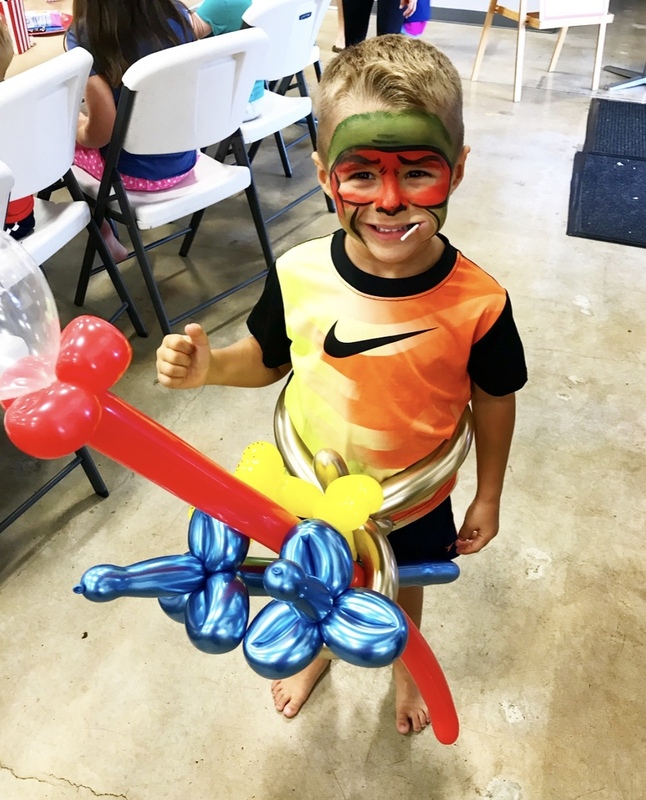 I genuinely look forward to planning his party each year and know that the years of cutesy, themed parties for him are fleeting! 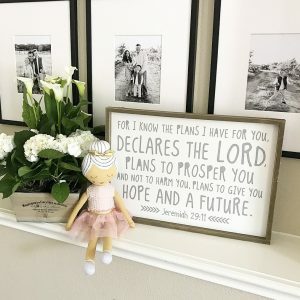 I’m soaking it in, and sharing a few party tips I’ve learned over the years in hopes they help you, whether you are the mom that loves this kind of stuff or not! Logan is old enough now to have so many opinions, and it was fun to give him ownership, even if they were not the choices I would have made! Our Target has this hamburger cake in their bakery almost every time we go, so when I asked him what kind of cake he wanted, he immediately said, “That hamburger cake! !” Does this scream “carnival”? Nope. But he was SO excited about it, and we ordered a few of the matching hamburger cupcakes as well! Bonus that it was under $10! 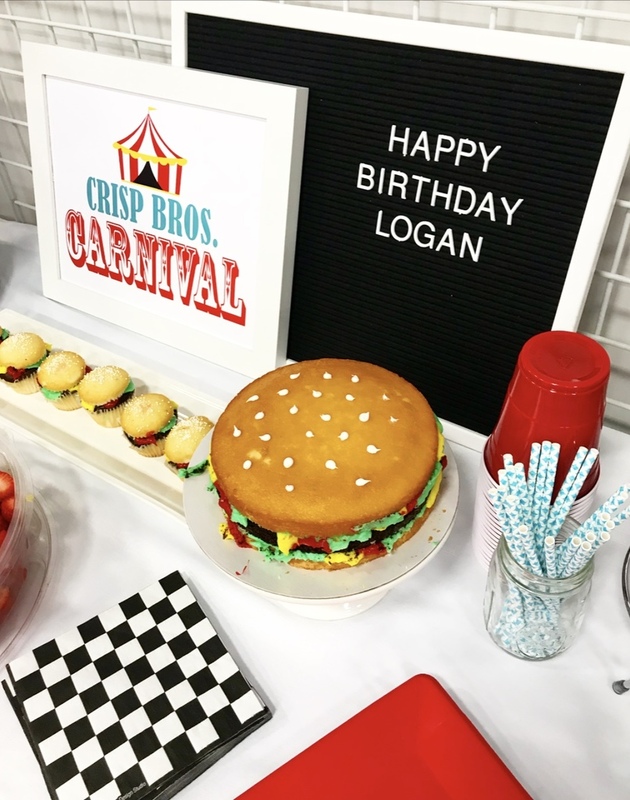 There have been years I have sprung for fancy bakery cakes, but this random hamburger from Target was appreciated so much more because it was HIS idea! 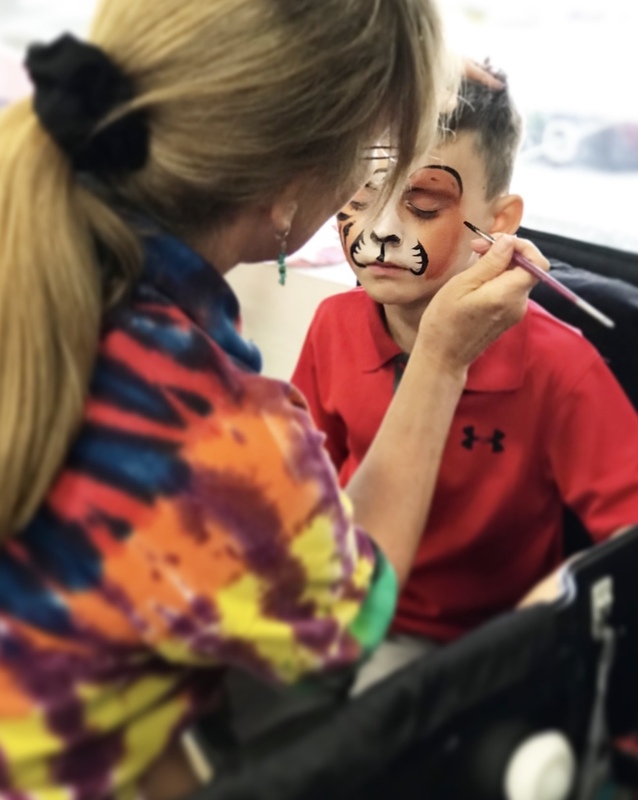 So when we decided to go with this theme I did a quick Google search and was thrilled to find Sharon and John, an adorable husband and wife team that specialize in face painting and balloon animals. 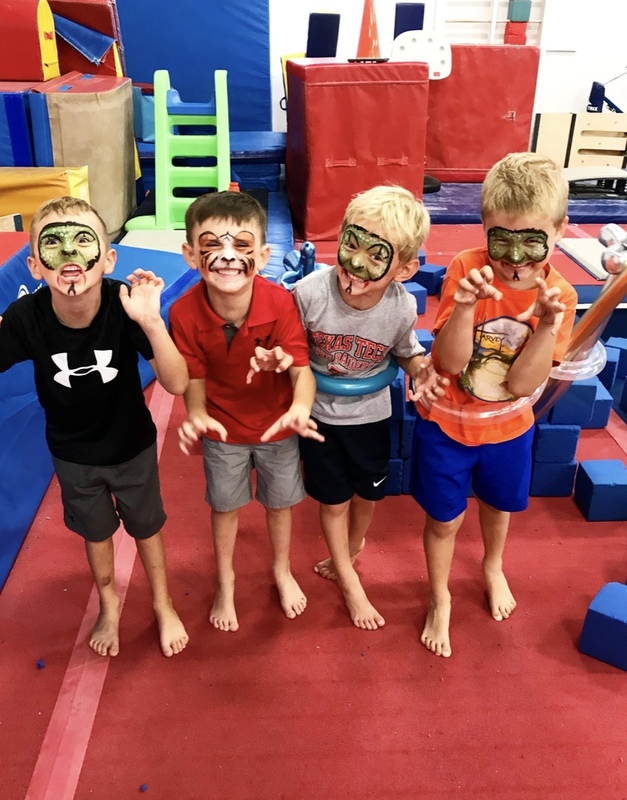 They were so talented, quick, and patient!! 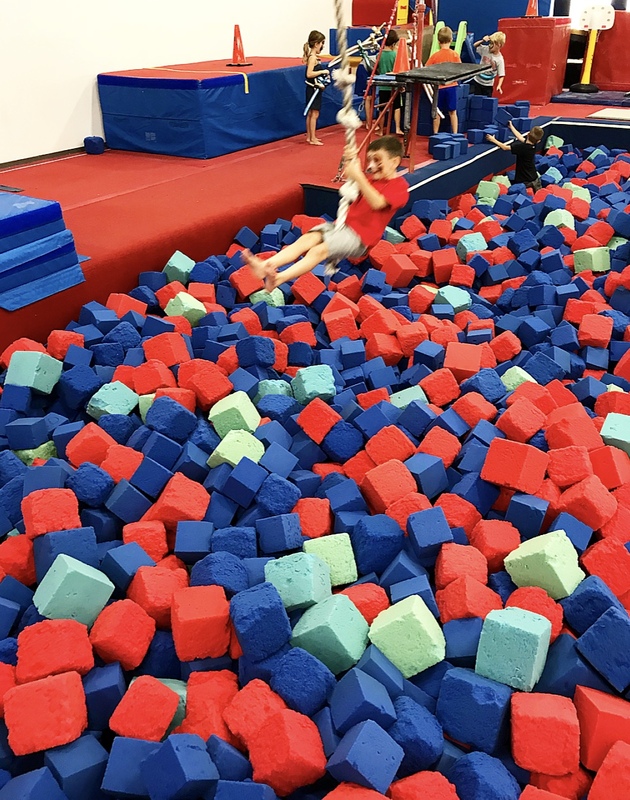 If you are in the DFW area, I highly recommend them! You can find their website here. 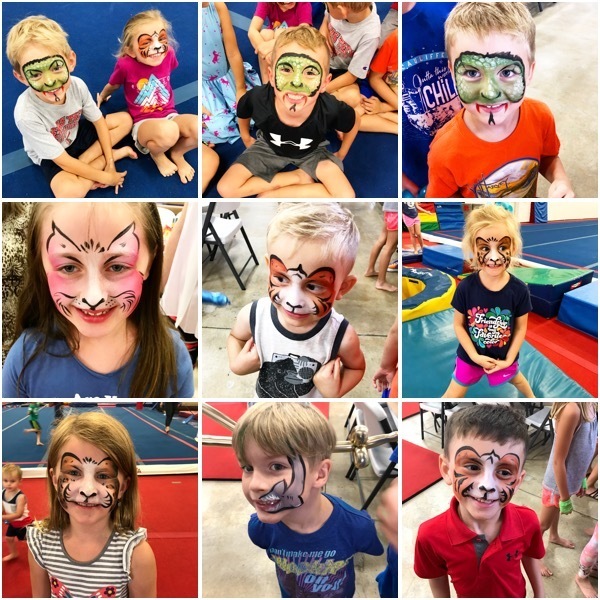 I think Logan felt special that I had remembered, and it was fun to see so many animal, princess and superhero faces running around! And you can never have enough balloon swords! 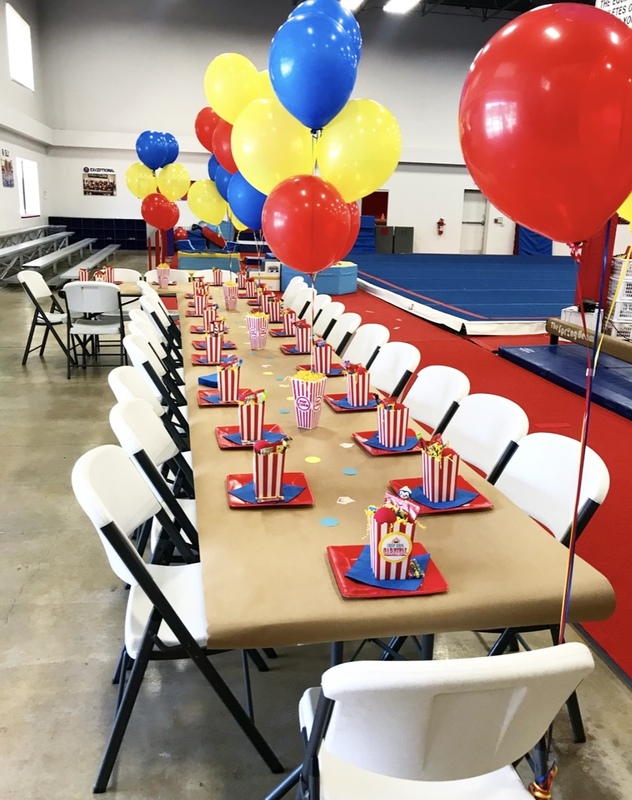 I think sometimes we as moms put way too much pressure on ourselves to create these unrealistic, Pinterest perfect parties. I assure you that the kids at the party licked the icing off my store bought cupcakes with the same enthusiasm that they would have had I made them all from scratch! We ordered pizza, had a fruit tray and called it a day! Everyone left full and sugared up, and I did not stress over trying to make and transport a bunch of different snacks. If you LOVE baking a cake for your child, DO it! If you have a special party dip everyone loves, MAKE it! Just don’t feel the need to make every single thing! You will stress yourself out for no reason, and a stressed out hostess makes everyone uncomfortable and drops that fun factor BIG time!This time I chose to make a few signs and created some tags for the goodie boxes. That was my creative contribution and Amazon prime, Target and Marcos’ pizza provided the rest! 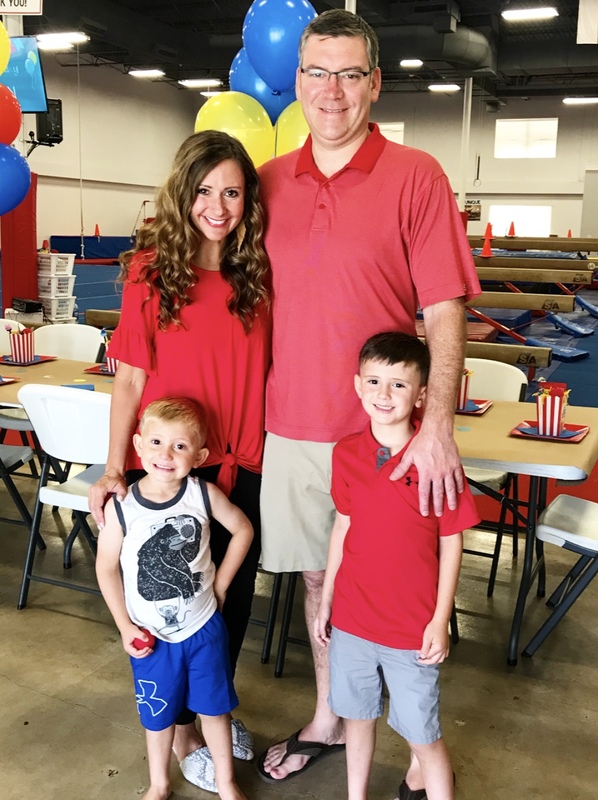 I got to sit back and enjoy the party rather than going overboard and being stressed out! Thankfully the venue we used this year provided party hosts that helped unload, set up, facilitate the party, clean up, and reload my car (woohoo!) but there have been parties we have had at home or have just rented a space where we have had to do everything ourselves. 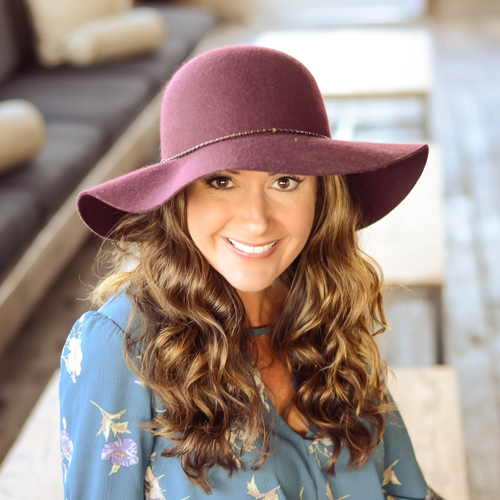 Be sure to think through all the things that need to get done…I am an avid list maker…and ask for help! Allow for time if the bakery has made a mistake on your cake or the balloons aren’t ready yet. Scheduling things right up to party time can leave you stressed out, so plan ahead. I almost always ask my mom, sister and sometimes a friend or two to come just a little early to help me set up. It just puts me at ease to have them there if I end up needing something last minute! 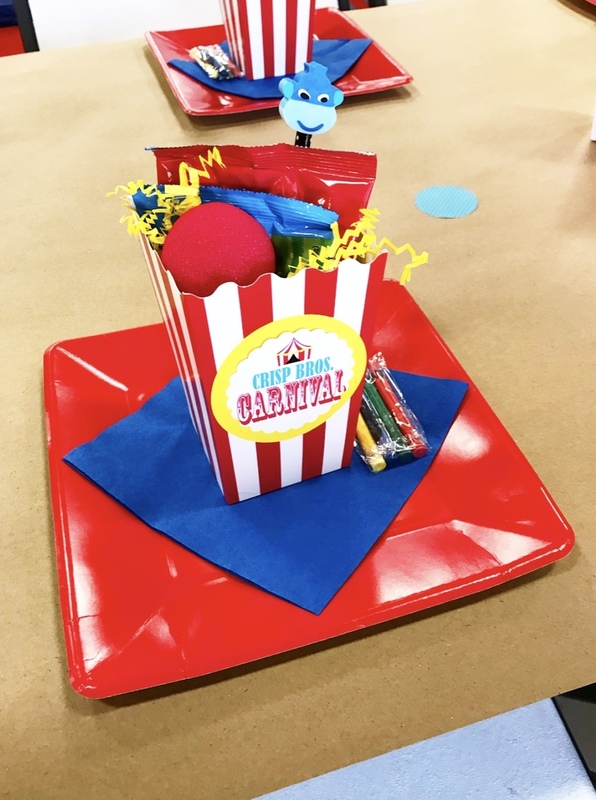 I love using craft paper for kid parties so that they can color on it while they are waiting for food! We put these little crayon packs on the table. Afterward we just took it off and threw it straight in the trash! SO cheap and easy! 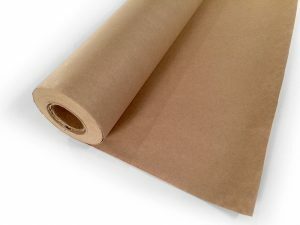 I got 100 feet of this brown craft paper for under $20 here, and know I will use it again and again! Wrapping paper is also a great option, and is easy to find to match the theme of your party! Amazon is my go to for party supplies! Oriental Trading is great too, but sometimes I don’t go to order early enough for their items to arrive. 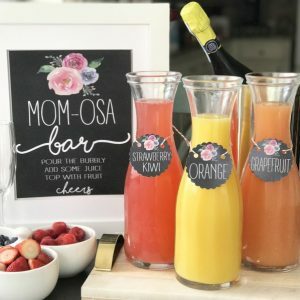 I found almost everything for the party on Prime (1-2 day shipping) and at affordable prices without having to run all over town. I just typed in “carnival party supplies” and tons of options popped up. 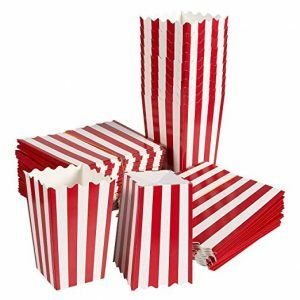 Some things, like these popcorn holders, are cheaper in bulk, so I ordered them that way and will use them for future parties as well! 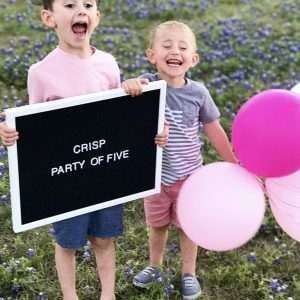 I hope that these tips are helpful if you are planning a party for your littles. 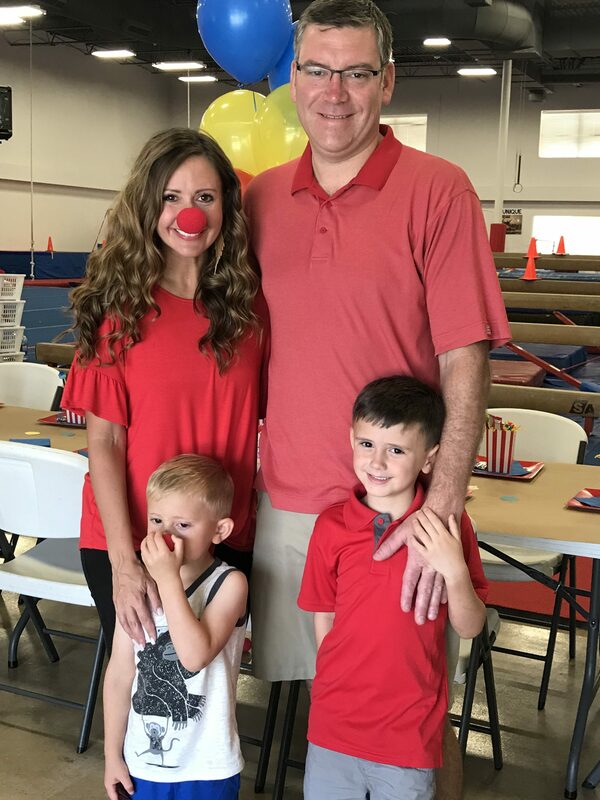 Making memories with my boys is my greatest joy, and I hope this was a celebration he’ll remember!